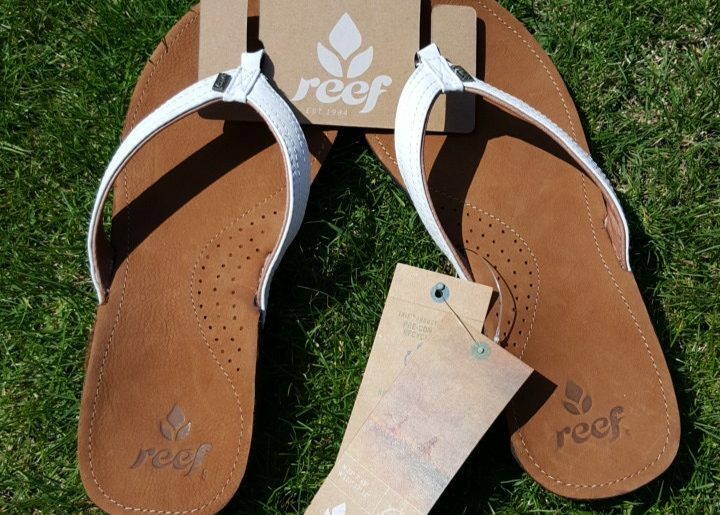 Reef Flip Flops the most comfiest flip flops around! We all have at least one part of our body that we don’t like or find difficult to dress……mine is my feet! I have long and narrow feet, I am hyper mobile, after damaging my foot a few years ago it never repaired it’s self properly as my joints are really flexible and struggle to repair easily. This means one foot gets swollen and aches a lot, so good shoes are so important for me. I don’t like the summer for shoes, I would love to wear little pumps but I have never found a pair that stayed on my feet and flip flops are always hard soled and so uncomfortable to wear for any periods of time. When they arrived you can tell that they were such good quality, the leather soles are so soft under foot, it is even cushioned with a arch support. This is perfect for me and I couldn’t wait to get them on my feet! These are through the toe flip flops so it got a bit of getting use to but over time the leather straps have softened and between my toes have got use to it. I love the thickness of the sole, which you cannot see online, it is a decent thickness which makes walking in them for hours very comfortable. The leather straps are really soft and the more I wear them the softer they get, these flip flops are going to keep going for years! I actually think they are going to get more and more comfy as times goes on and I won’t be able to keep them off my feet! 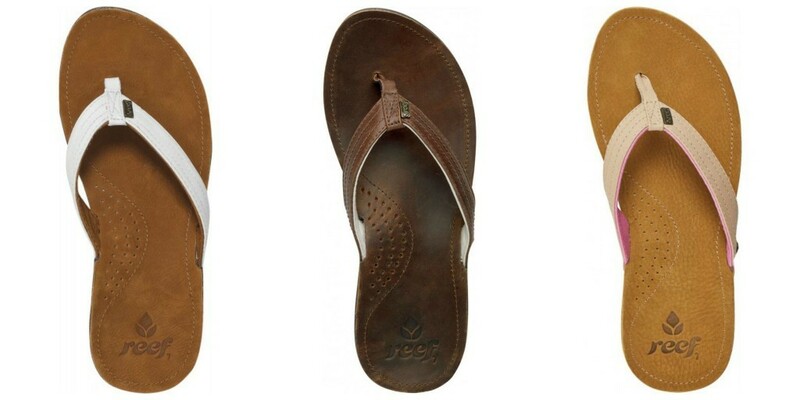 Reef Miss J-Bay leather flip flops white retail for £44.95 with free delivery and are also available in 3 colours, brown, white and tan. Although do have a look online for stock levels on these colours. They are one of the most expensive flip flops I have ever tried but they are 100% worth it, these are going to be worn so much and it is worth paying extra for quality and comfort. Although we have had nice weather today, typical as the kids went back today! 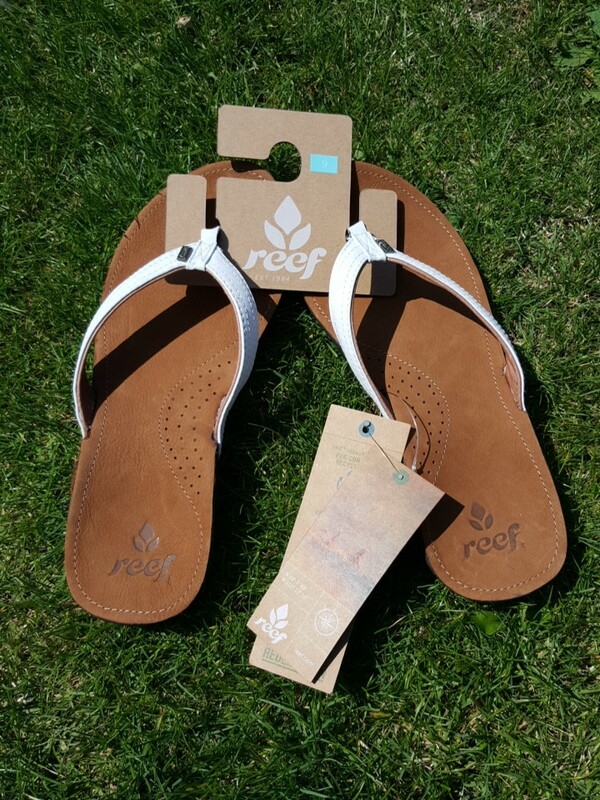 Home » Family » Reef Flip Flops the most comfiest flip flops around!